Posted on March 31, 2019 by Wise Eats. In the newest edition of TDDH, we take a look at my 2012 trip to Las Vegas and compare to my recent vacation in Maui, Hawaii. Thanks for watching, listening, reviewing, liking, subscribing, and sharing. Remember to be nice to the turtles and whales! Be good to yourself, be good to others, and make wise choices! 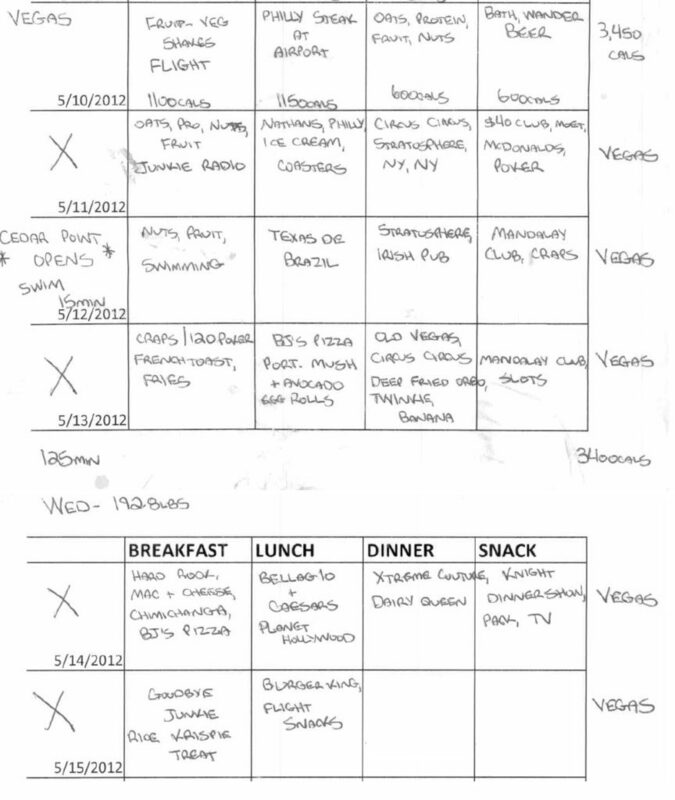 About “This Day in Diet History”: For the last 10 years, I have journaled every meal and every workout, and want to bring that history to life by sharing stories from diets past and compare with my lifestyle habits today. The goal is to provide some nutrition tips, entertainment, and hopefully some motivation for anyone looking to improve their health and fitness. If TDDH can move you one step closer to achieving your fitness goals, then it’s my pleasure to present it to you. The bottom line is that I used to be extremely unhealthy. 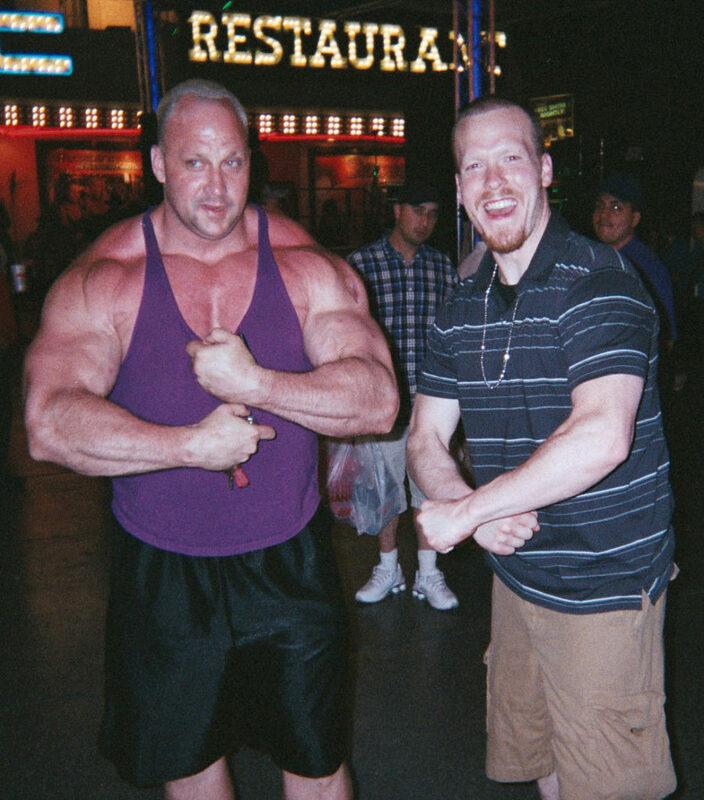 I abused junk food, drugs, and alcohol until I ballooned up to 270lbs. Now, I’m in the best shape of my life and want to inspire others by providing a glimpse into my transformation over the years and share the ways I was able to get it done. I’m a guy who has lived on both ends of the health spectrum and want to let everyone know that if I can do it, you can do it too. I’m by no means perfect, but have reached a place where healthy diet and exercise are non-negotiable aspects of my life, and want everyone around me to have that same gift. With that said, let’s get to the show. It’s time to Wise Up. Well aloha, mahalo, and welcome to another episode of Wise Eats. 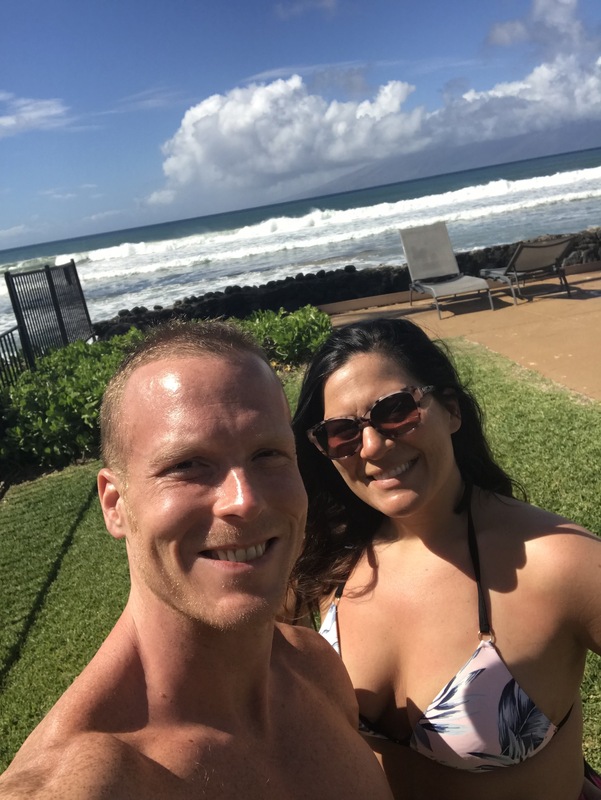 In today’s episode, I want to share some diet and fitness tips that I took away from my recent trip to Maui that you can apply to your travels in life, not just for vacation, but in other areas of your life. Hawaii is a magical place. We flew out of -20 degree Detroit and into 75 degree and sunny Maui. We saw the sun rise on Haleakala, which was amazing. 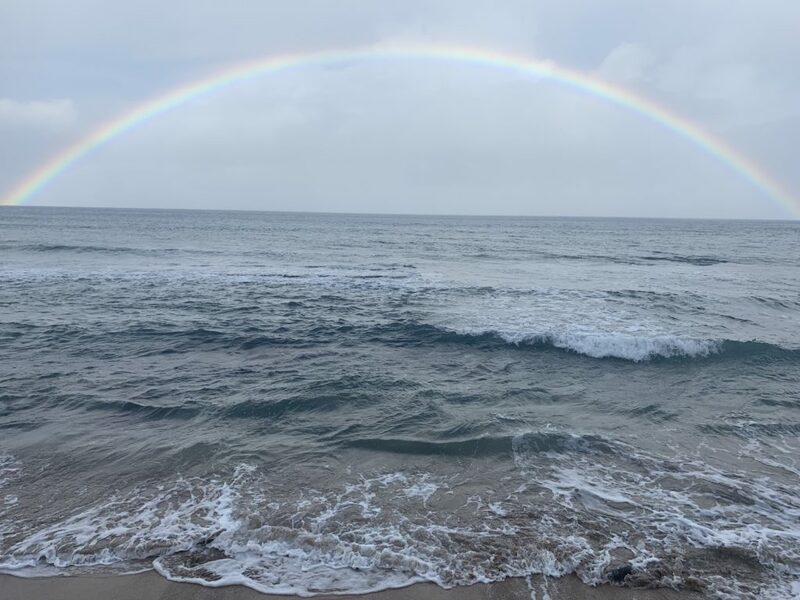 Swam in the ocean every day, saw a ton of whales, about a million rainbows, and experienced some of the most breathtaking scenic drives possible. 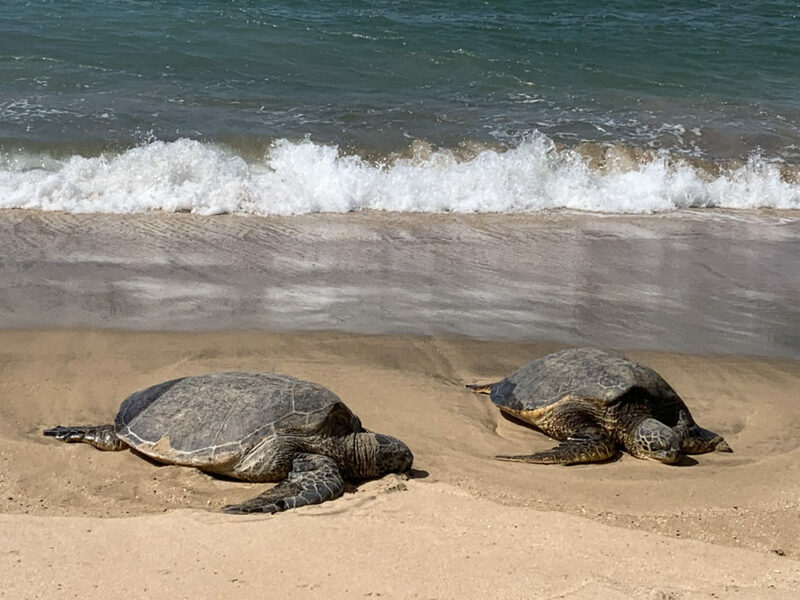 Sea turtles swimming right up onto shore to hang out for the day before diving back into the ocean. We even experienced some extreme weather. Plenty of rain and high winds. Maui even got snow on top of Haleakala during our stay. Figures us Michiganders bring the snow with us. For anyone interested, I have highlight videos for our Hawaii trips in 2017 and 2019 on my YouTube channel. 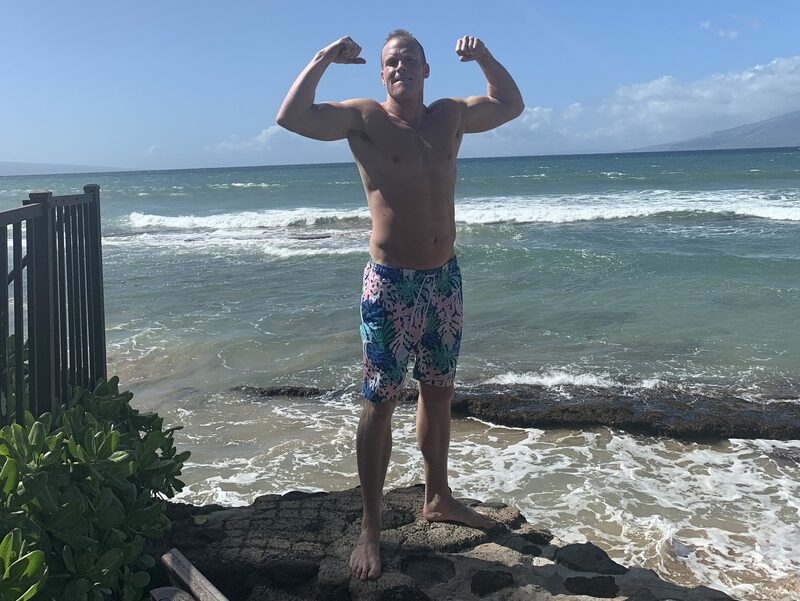 Maui is truly an amazing place and although it was a fully relaxing break from my normal routine, I also made it a goal to stay on point with my diet as much as possible. Obviously, the goal for vacation is to relax, unwind, but that doesn’t mean it’s time to throw all of your fitness goals out of the window also. So, let’s get to some diet and fitness tips to utilize while on vacation. But before I do that, let’s turn the clock back 7 years for another edition of TDDH. Back in May of 2012, I went on a Vegas vacation with a group of friends and want to illuminate my habits back then and compare with today. What happens in Vegas usually stays in Vegas, but today, I’m being totally transparent because I want to help you overcome your demons just like I did. This trip was 3 years following my initial 90lb weight loss. I was eating healthier in general but still drinking way too much and not being consistent with my training. I was on my way, but by no means there. On this trip I made mistake after mistake and unwise decision after unwise decision. TRhe entire vacation was an endless stream of booze and junk food. One good habit I picked up on this trip was packing some healthy snacks to have on the plane. I brought fresh fruit and nuts to have with me on the plane and in the hotel room, a habit I maintain to this day. Outside of that, my main diet consisted of vodka, buffet foods, and sit down restaurants. As you can see, the goal back then was partying and eating with very little care for my health. 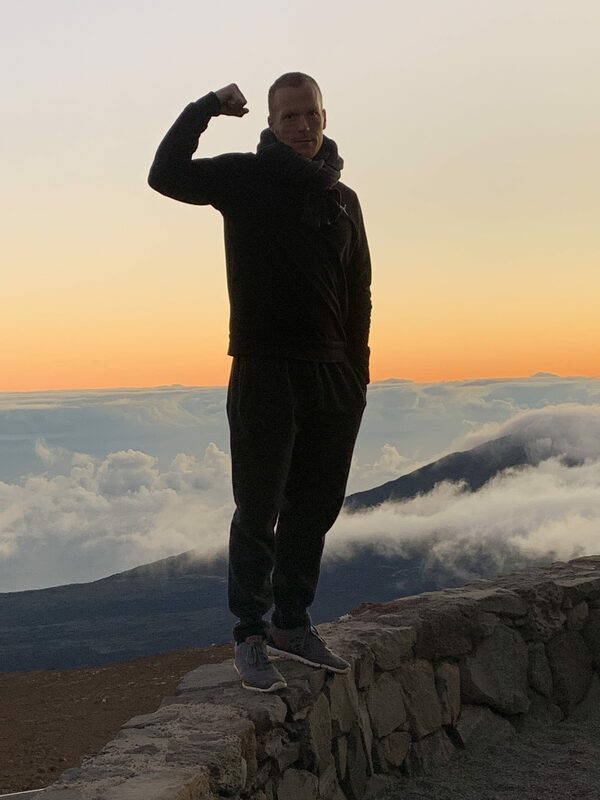 Now that you’ve seen firsthand how I used to vacation, let’s talk about how much things have changed on this trip long with some tips for you to improve your health while on vacation. Prepare food to have in your carry-on bag. Cook meals where you’re staying, if possible. On this trip, my carry-on was loaded with protein bars, energy Bowl, cauliflower fried rice (recipe pending), sweet potato, and other healthy snacks. I had enough food for our 13-hour trip and then some. It was the same theme on the ride home. We cooked everything we had leftover and packed it to go on the plane, so we ended up with chicken, vegetables, energy bowl, potatoes, and rx bars. All we left behind food-wise was a couple extra cases of water. Many people think you can’t bring snacks on a plane, which is not true. 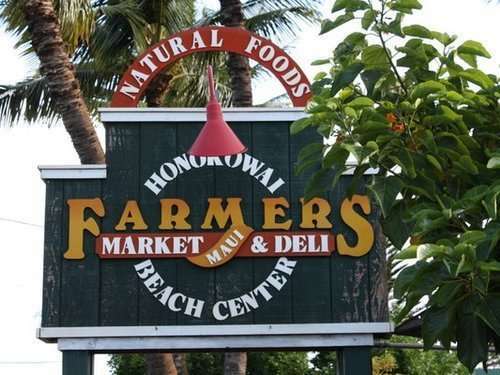 You can bring snacks, prepared food, just have to watch out for fresh produce and liquids. Resist the urge to given into convenience and stay accountable by preparing your travel meals. Avoid airport food and in-flight snacks whenever possible. Stick to real food and wise choices. Obviously, this doesn’t really work if you’re going on a cruise or all-inclusive. One of the reasons we chose Maui was because we enjoy going to a place where we have the freedom to prepare our own meals when we want. We rented a condo on the ocean stocked with a full kitchen, freezer, refrigerator, blender. There’s a Costco in town, along with a local farmer’s market and grocery store. No matter what my circumstance, on vacation or in normal life, I need to have healthy options on hand. So, after we got off the plane, we went to Costco which was right around the corner from the airport. We stocked up on healthy options like chicken, rice, fresh and frozen produce, water, and other essentials. We even placed orders on Amazon and had them shipped directly to our room so it was waiting for us when we got to Maui. I know this probably sounds so boring. But I don’t care if I’m on getting on a plane to go across the world or driving across town to a family function, I always stay prepared when it comes to food. I have healthy meals as back up and plenty of filtered water. You need accountability for the things you’re putting in your body, so the more you can control that, the better off you’re going to be. 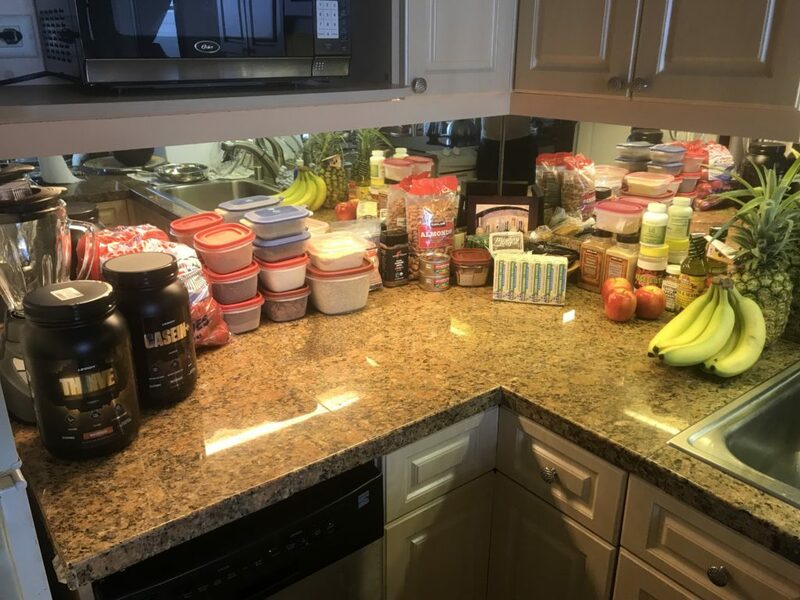 On this trip, we made breakfast every day: Scrambled eggs, gluten-free pancakes, fresh fruit, energy bowl, protein shakes with kale, and others. We often made lunch or dinner, as well. Of course, we ate out at times, but it was usually only one meal or so per day, not the entire time. 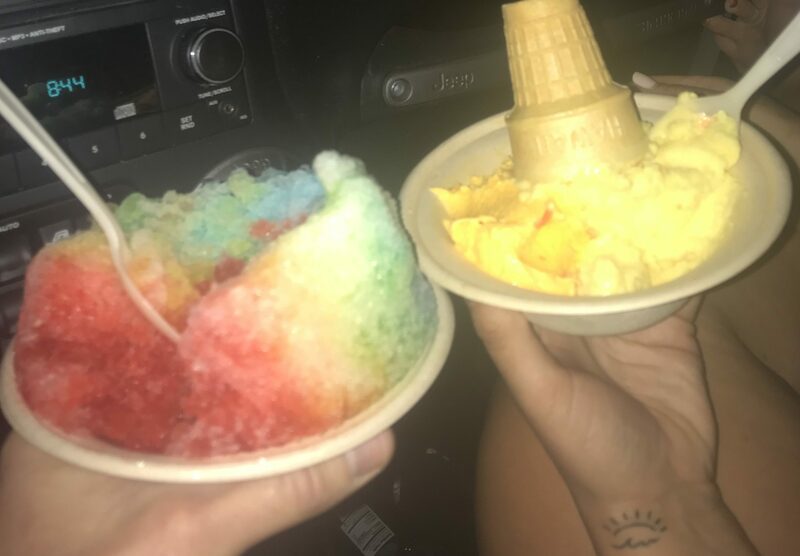 Vacation should involve a break from your normal routine, but it’s not a free pass to just eat crap for a week straight. Eat well as much as possible and save unhealthy meals for the moments where it will truly be memorable, like a nice dinner out or something you know you’ll really enjoy in the moment. A sub sandwich and bag of chips on a plane is not memorable or good for your body. I fight myself with this all the time. Pick your poison, but try not to overindulge. Instead of eating half a pizza or a whole pizza, have a slice or two. Easier said than done, but the more you focus your mindset toward restriction, the better you’ll do in the long run. Portion control is something I struggled with for years, and still fail at from time to time, but has gotten much easier. I did overeat quite a bit on this trip, but it was usually healthy foods. Plus, who’s got time for calorie restriction on vacation? It’s time to enjoy yourself, of course! But you can do that while making wise choices in the process. You can see my full diet log at the bottom of this episode post. Not every meal on vacation is a cheat meal. Treat yourself, but get in as much home cooked, healthy prepared meals as possible to go along with it. If you completely binge the whole time like I used to, you’re going to come back needing a vacation from your vacation. We cooked many meals that we would normally have at home, but also enjoyed some local flavors and fresh produce. We actually enjoyed some sort of “bad” food every single day. We simply limited it to one meal and surrounded it with other healthy meals so we didn’t go too far overboard. I’m not saying you have to sign up for a nearby gym for the week you’re on vacation, but if you can, it’s not a bad idea. In my previous trip to Maui, I focused too much on getting to the gym, but you have a built-in gym inside you. Take a break from your normal routine and just do some bodyweight exercises. Pushups, squats, lunges, jumping jacks, running, walking, stretching, playing. There are so many things you can do outside of a normal gym routine. Enjoy nature, get in the water, the sand. At a minimum, keep a mindset of movement. Normally, I lift weights 5-6 days per week, so I usually try to have a gym nearby whenever I travel, but that was not an option on this trip. In preparation, I really pushed hard in the weeks leading up so I could feel good about taking time off for recovery. Instead of going to the gym, I moved as much as I could every single day. I walked in the airports, did bodyweight squats on the plane, stretched, bodyweight, ab routines. Instead of chest day, I did a push-up challenge. Instead of leg day, I did a bodyweight squat challenge. I also made it a requirement to jump in the ocean every single day: real hard, I know. The idea is to embrace the opportunity to take a break from your normal training routine and try some different things that make you feel good. Water, water, water. Drink it, a lot. Swim in it. Play in it. Live in it. Staying hydrated will help keep you from overeating and also feeling energized. Hydration is a very simple hack to optimize your health all the time, not just on vacation. We bought like 8 cases of water from Costco and it lasted our entire trip. We were never without fresh water and challenged one another to drink as much as possible every day. Oh boy, this is the holy grail. Wes, what good is a vacation without alcohol? Trust me, I get it. I used to drink every day whether I was on vacation or not. Wes from 5 years ago doesn’t even know who I am today. My vacations used to be centered around alcohol. Room was always fully stocked with bottles. Whether I was on vacation or headed to a sporting event or concert, I would travel with mini bottles full of vodka so I always had quick access to free booze. These days, however, it’s a much different story. Out of our 12 nights in Hawaii, we only drank alcohol twice and never got drunk, just had a few drinks. I really just enjoyed myself more without the alcohol. I want my body feeling good and to enjoy my surroundings fully. 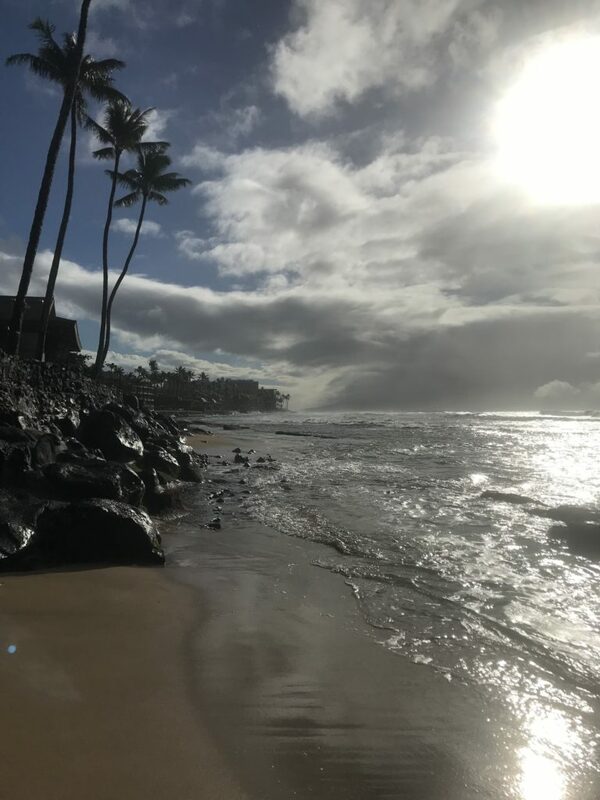 I want to rest fully and wake up feeling refreshed, energized, and ready to take on all of the amazing wonders Maui has to offer. I’m not saying I never drink, but it’s less and less all the time because my goals are so much bigger now, and alcohol is a poison that only detracts from those goals. 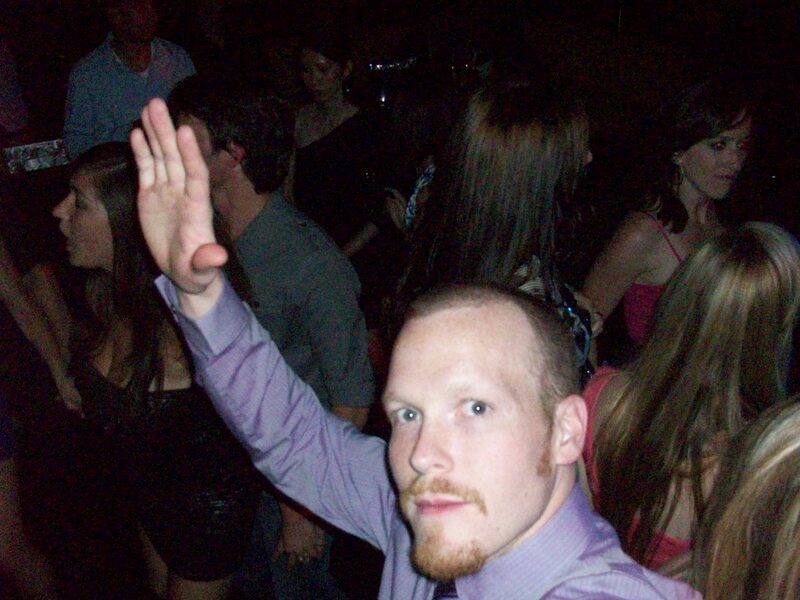 If you want to drink and party all the time, that’s perfectly fine, and I won’t be mad at you because I’ve been there. But if your goal is longevity and vitality, you may want to rethink your priorities like I had to. All that said, we enjoyed a few local beers while we were in Hawaii, so shout out to the Maui Brewing Company. Loved their nitro brewed coconut hiwa porter. Fantastic. Eating healthy and exercising are great, but at the end of the day, it is vacation. I encourage you to make as many wise choices as you can, but at the end of the day, advise you to worry less, and relax more. Have some fun and don’t be so hard on yourself! In closing, don’t use vacation as an excuse to just eat junk the whole time. A getaway is a chance to recharge your batteries and come back feeling better than you did when you left. It’s not a week long session of poisoning yourself and then spending a whole month just to get back to where you were before. I might sound like a boring date to take on vacation, but trust me, I’ve been on both ends of the spectrum. From being focused on nothing but eating and drinking myself into oblivion to slowing down and enjoying myself in other ways beyond food and alcohol. I want to feel good on my vacation. I don’t want to be tired, lethargic, or hungover. I want to fully enjoy my surroundings and remember the great times I had. That’s gonna do it for the lifestyle tips while on vacation. Thanks for checking out this episode. Until next time, aloha, mahalo, and make wise choices. Thanks for tuning into the show. Be sure to subscribe on iTunes, YouTube, or wherever you found this recording. If you want more, definitely check out my website, Wise-Eats.com, where you’ll find links to my free newsletter, healthy recipes, fitness tips, and some other fun stuff. I turned my life around completely by focusing on health and fitness, and want to do whatever I can to help you do the same. Shoot me an e-mail with any questions or comments you have over at WiseEatsPodcast@gmail.com. I haven’t found some magic bullet or special diet or fancy supplement or a quick shortcut. What I did was make a conscious decision to change my lifestyle, then made small positive changes that grew into a permanent lifestyle over time. It’s all about developing a mindset that centers around movement, gratitude, hard work, and real food. So, thanks again for listening, please let me know how I can help, and until next time, mahalo, and make wise choices.